— you’re in the right place. Since you’re here right now, I know you’ve already had a look around the Interwebs. You’ve seen what’s out there for budding product designers (precious little) and you’re wondering if there’s anything more. I believe you have the intelligence to learn new skills and put them to use immediately in a design career. Trust me. I’ll show you how to do it. I believe you have the ambition required to make your dreams and goals real. I’m here to help you bring it to life in an unstoppable way. I believe you deserve happiness, respect, and a supportive community of designers. And I’m determined to give you the tools to create that. If I’m being honest, I also believe that when your head is about to explode and there’s not a drop of creativity left in you, a margarita and an afternoon by the pool will bring it all back to you. No matter where you are in your career journey you want your designs to have a BIGGER impact. Design ethnography, business analysis, sketching, usability testing, surveys, interviews, focus groups, heuristic analysis, empathy mapping, storyboarding, user journeys, personals, AB testing and pain points. Wireframing, information architecture, sitemaps and user flows. Designing for scalability, modular design, navigation patterns, mobile design, responsive sites & adaptive sites. Color psychology, science of color, typography, IxD, micro interactions, branding, logos, layouts, content management, CMS, copywriting, labeling, working with and creating style guides and pattern libraries. Advice for working with engineers, product managers, and creative directors; learn how to work within waterfall, Agile & Lean methodologies; create product roadmaps, portfolios, pitches, presentations. Practical advice for surviving design reviews, building product teams, and getting & keeping your first design job. 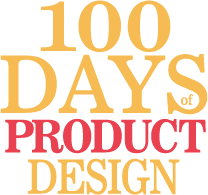 Product designers are the artists, inventors and creators building the 21st century. Beyond user experience and research, the product designer synthesizes business goals with user journeys to design intuitive IA and IxD and create an experience that delights and enables users. We conceptualize and innovate on ideas, turning them into tangible inventions. Our role is to combine art, science, and technology to create new things that people can use–software, hardware, wearables and usables. The evolving role of the product designer has been facilitated by digital tools that allow us to communicate, visualize, analyze and actually produce tangible ideas in a way that would have taken months or years in the past. No longer limited by the UX/UI moniker, the product designer is a core member of the product team and helps envision the utility, grace and profitability of physical and digital creations. You’ll like us. We’re cool!